Last-minute ticket sales increased the jackpot from $312 million to $319 million. New York (CNN) -- Despite reports that seven state government workers held the winning $319 million ticket in the Mega Millions lottery, as of Sunday, no one had come forward to claim the prize, a New York Lottery spokeswoman said. The lottery drawing was held Friday night. 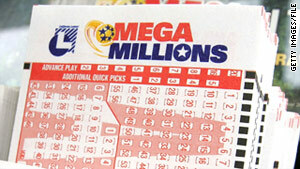 Last-minute ticket sales increased the jackpot from $312 million to $319 million, the New York Lottery said. The winning ticket was bought at Coulson's News Central in Albany, New York. The winners were seven IT specialists from New York's Housing and Community Renewal, according to Emanuel Biondi, public employees federation council leader for the agency. He didn't disclose any other details. New York Lottery spokeswoman Carolyn Hapeman said she could not confirm that report. CNN's Deborah Brunswick contributed to this report.